Never mind bongs and joints. When Canada legalizes recreational pot Wednesday, some producers will be seeking an early foothold in the market for the kinds of marijuana you don’t smoke. The lesson from front-running legal pot markets in the U.S., including Colorado, Washington and Oregon, is that old-school smoked weed quickly goes out of fashion. The modern cannabis consumer is no muss, no fuss — it’s all about convenient extracts, body creams and edibles. Canada’s starting off cautiously. Beginning Tuesday, it will limit marijuana sales to its traditional flower form — the fluffy, dried buds familiar to many a college student — or as an oil that companies plan to sell in Advil-like softgel capsules and as liquid tinctures. “We expect derivative products to surpass flower in every market globally,” said Michael Gorenstein, chief executive officer of Toronto-based Cronos Group Inc., a Canadian licensed producer with operations also in Germany, Poland, Israel and Australia. In time, vaporizers are likely to be the largest category followed by edibles, topicals and beverages, Gorenstein said in an email. 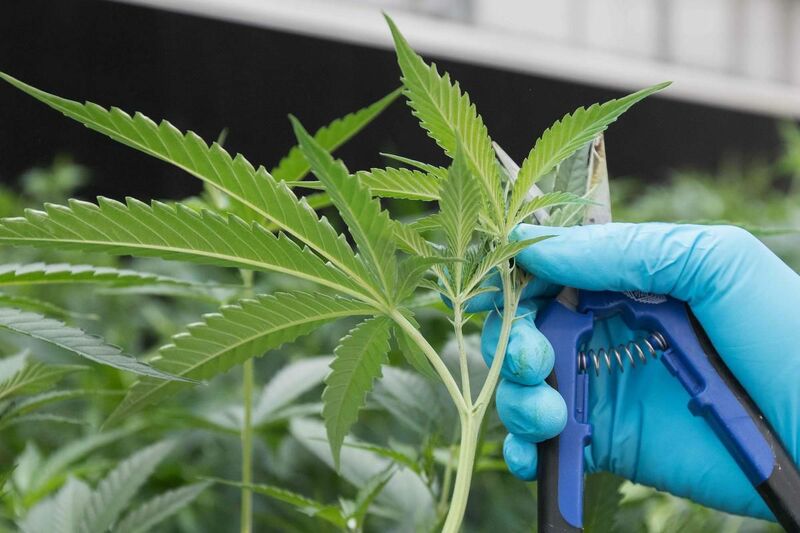 To prepare for that transition, Cronos struck a $122-million partnership with Ginkgo Bioworks Inc. to genetically engineer marijuana’s active compound to help create the cultures that could be used in alternative products. In legal U.S. states, flower accounts for 50 per cent of the market in terms of spending, but is declining rapidly. Deloitte predicted in a June report that in Canada, six out of 10 likely cannabis customers will opt for edible products once they become legal. “The flower business is becoming a battleground with few winners,” according to an Oct. 11 report by Arcview Market Research and BDS Analytics. “Colorado and Oregon, in particular, are experiencing a glut.” By 2022, flower sales will drop to about a third of the market, it forecasts. Canada may see as much as $4.5 billion in flower sales in 2019, but cannabis revenue could surge an additional 30 per cent if the federal government approves edibles and vaporizers, according to Ascent Industries Corp., a Canadian licensed producer that’s also been distributing in Oregon and Nevada, including sales of several hundred thousand vape pens. Canada is expected to allow edibles by the fall of 2019. “Companies that are positioned to bring those products to market at the beginning are going to be able to establish a significant share in what’s ultimately going to be, I think, 70 to 80 per cent of the market,” said Philip Campbell, Ascent’s CEO. Convenience and discretion drive consumers’ preference for alternatives to smoking weed: it’s easier to pop a capsule or squirt a few liquid drops under the tongue than to roll a joint. For companies, new formats are crucial to attracting new users and also strategic in an increasingly commoditized market — when Colorado became the first of two U.S. states to legalize in 2014, there were 4,000 products available on store shelves. That more than quadrupled in three years, according to the Arcview-BDS report. “When legalization kicks in, product development also kicks in and there becomes an obvious opportunity to have a branded product rather than a generic product,” says Tom Adams, managing director of industry intelligence at Boulder, Colorado-based BDS, which tracks retail marijuana sales. The key for Canadian producers will be making that transition. Some face an even more practical hurdle. Canada has more than 130 licensed producers, but only about half of them are authorized to produce or sell oils. That means the remaining half can only supply flower until they get licensed and build manufacturing capacity — both take time. As a result, non-flower products are likely to face a more acute and enduring supply shortfall than the broader cannabis market, said Ascent’s Campbell. Ascent is zeroing in on that opportunity with a 40,000-square-foot manufacturing facility outside Vancouver that’s almost completed. Once in full production it will be able to produce a million capsules a month. Ascent, based in Maple Ridge, B.C., has a market value of $211 million. “We see that as, ultimately, the greatest opportunity and where there’s the least amount of competition,” he said.